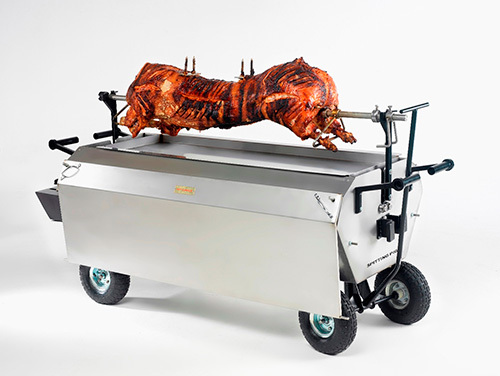 Another exciting addition to our hog roasting machines, buy a hog roaster with chicken spit accessory for the most aesthetically pleasing catering set-up! 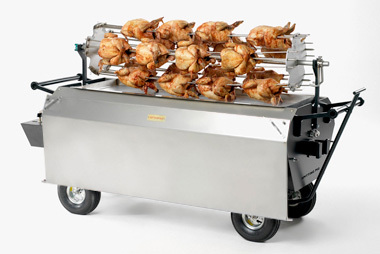 The platinum chicken spit kit allows the users to cook a staggering 36 chickens at a time. 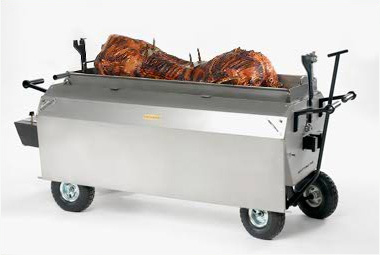 It can also be used to roast turkey, beef and legs of pork rotisserie style. Our chicken spit accessory uses the rotating aspect of the spit kit providing a traditional and fascinating cooking option that provides excellent flavour and visual excitement! It must also be used with the motor, pole and carving tray of the original spit roasting set. For added drama, the chickens can be viewed through the toughened glass viewing panel, until they a raised to be carved directly in front of your guests very eyes. 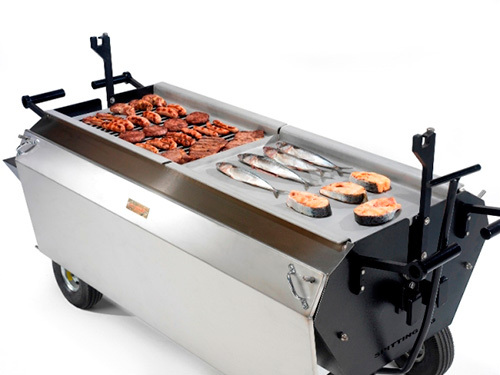 Each arm of the chicken rotisserie can be removed one by one for carving and the carving tray can also be used as a hot plate to keep all your food products warm, it’s powered by the burners below. Want to find out more about this roasting set? Get in touch and we’ll be more than happy to help! We also invite you to come to our showroom and view the complete range up close.